Richmond is a unique and beautiful area in the heart of central Kentucky. Thousands of people are proud to call Richmond their home. 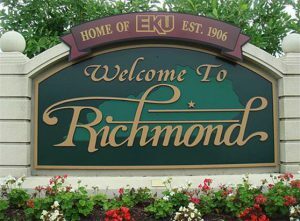 Between the EKU campus, Lake Reba, several parks and ponds, a variety of dining options, and some wonderful family-owned businesses, Richmond provides a wonderful opportunity for growth for individuals and their families. We are proud to have served this community for over 30 years, and make it our top priority to provide safe and affordable housing for all types of people in the Richmond area.